Ayala Museum will hold a lecture on Museology to be given by Ms. Felice Sta. Maria on April 6, 2011 at 10:30 am to 12:00 nn. 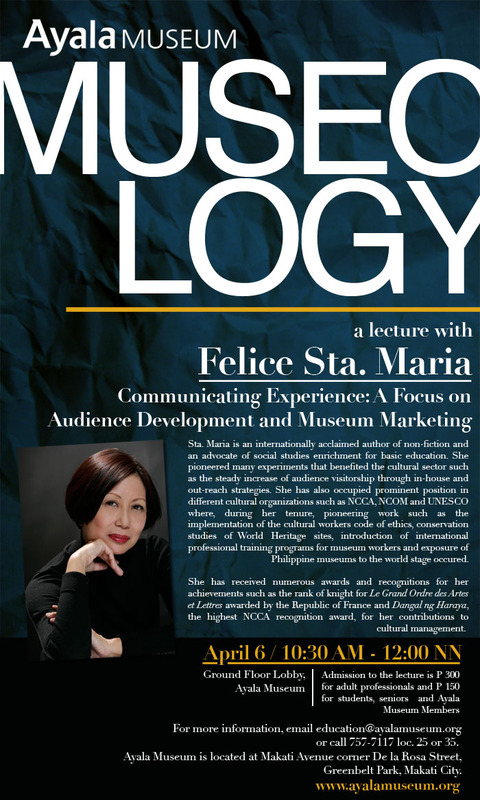 This lecture will focus mainly on museum marketing and audience development. For more information, please email education@ayalamuseum.org or call (632) 757-7117 loc. 25 or 35.